Nose 2011: Lovely nose without any sharp alcohol. 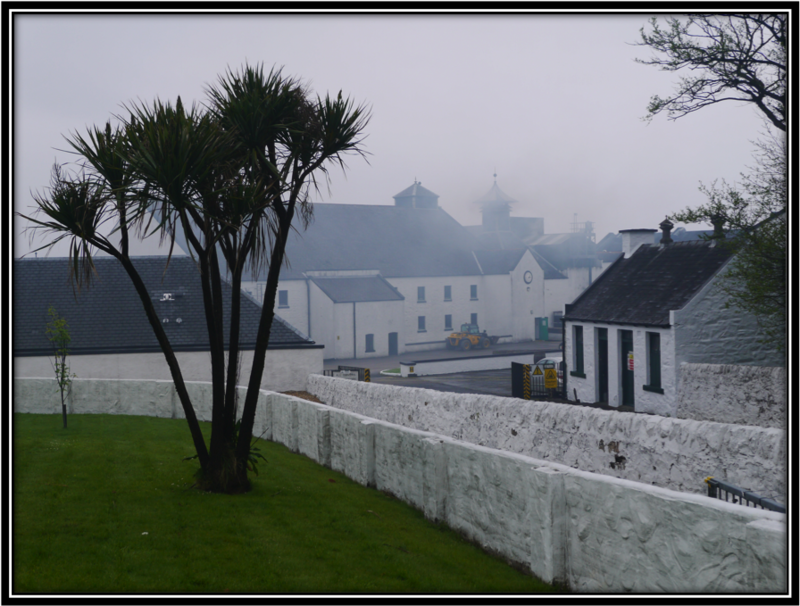 The Sherry (Speyside) combines well with the Peat and light Smoke from Islay. I find dried fruit (Raisins and Apricot), light Oak, toasted Barley and lightly salted Peanuts. It’s not a very complicated nose but it’s quite pleasant. Nose 2017: It goes without saying that I'm much better prepared to Nose and Taste Whisky now than I was back in 2011. Still, I do wonder what happened to this Swing. I still get some light Sherry influence but it is accompanied by some Sulphur. I still find some Barley as well but the Grain Alcohol is dominant as are the Refill casks. The Dried Fruits are still there but I also get some Citrus now (Lemon and Mandarin). I also find Vanilla, Pepper and Ginger and some Floral, Herbal and Grassy notes. The Peanuts are still there but I can only find a very light Smoke in the background that reminds me of Caol Ila. I really liked the Nose in 2011 but I find it pretty standard in 2017. The lower ABV certainly plays a part but you might wonder if Diageo changed the Blend during the last 6 years. Taste 2011: Very smooth delivery of Smoke, Peat and Sherry with a bite of White Pepper. Black Coffee. Simple but very much to the point. Taste 2017: The delivery is rather Thin and I would have to blame the lower ABV here. I find Grain Alcohol, Toasted Refill Oak, slightly Burnt Toast and Orange Marmalade, Vanilla, Toffee, Nut Shells, very light Sherry, very light Smoke, Pepper, Ginger and a hint of Raspberries. Finish 2011: Short and Dry. Some Oak and, again, Black Coffee. The finish is rather disappointing just as was the case with the JW Black Label. Finish 2017: Quite short indeed with some Toasted Refill Oak, Grain Alcohol, Toast and Orange Marmalade, Nut Shells, very light Smoke, light Pepper, light Ginger and a hint of Cigar Ashes. General Remarks: This blend was first produced in 1932, especially for bars on ocean liners. Thanks to the special rounded base, the bottle can swing backwards and forwards without tipping over. It is said to contain around 35 different whiskies, including Single Malts. The latter ones are mainly from the Speyside next to some Highlands and Islay. Bottled at an adequate 43,6%. Because of that you can experiment with a little bit of water if you like. JW Swing has been in – and out of the market for the last 75 years or so. The current owners, Diageo, are rumoured to take it out of the market once again. Drinking Experience on the Rocks (2017): Very Nice. Conclusion 2011: In comparison to for instance the Ballantine’s 17 years, the JW Swing is not a very complicated blend. 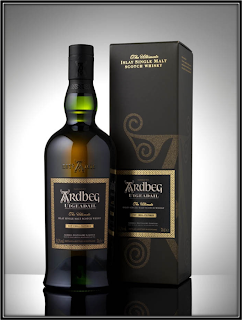 But it succeeds in combining the main characteristics of Speyside (Sherry) and Islay (Peat and Smoke) in a very smooth way. This could have been a great blended whisky if it wasn’t for the lack luster finish. 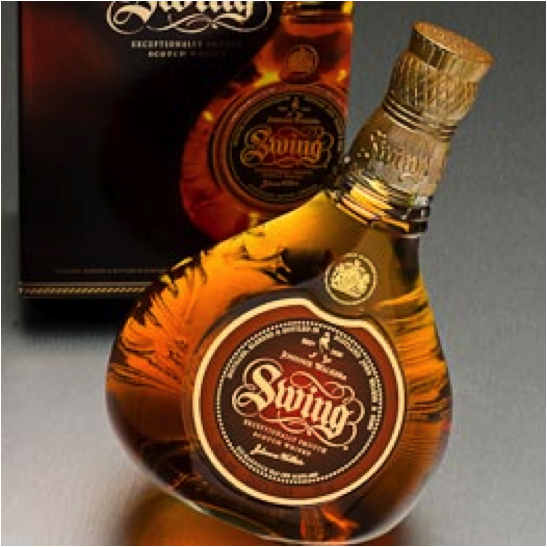 Still, the JW Swing is a very good dram that I can safely recommend. Conclusion 2017: The Johnnie Walker Swing is not a bad blend and you can still enjoy it neat although I prefer it on the Rocks. But the 40% version I tasted in 2017 can't hold a candle to the 43.6% expression I tasted in 2011. 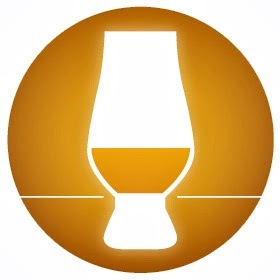 Plus, and I have to be honest here, I'm much better prepared to judge any Whisky than I was back in 2011. Still, I can't shake off the feeling that younger and less expressive Malts are part of the Blend today. I would not be surprised if Cardhu would be a part of today's Swing as I get a similar Barley Juice feeling. As a result of it all, my 2017 score, unfortunately, is significantly lower. It can be me, it can be the blend, it can be both! At 50 US Dollars, the Price/Quality ratio isn't too bad.